Thanksgiving is a special time of year when family and friends gather for tasty food and warm conversation. But before the turkey can be carved, many people have to travel. The majority of holiday travelers are driving. As they plan their trips, the National Highway Traffic Safety Administration (NHTSA) is urging travelers to buckle up through its campaign, “Buckle Up America. Every Trip. Every Time.” Other government agencies are stressing good planning to help drivers avoid motor vehicle accidents. During the 2009 Thanksgiving holiday travel weekend, 303 passenger vehicle occupants died in motor vehicle crashes, according to the NHTSA. The majority of these deaths occurred at night, making it important to buckle up at all hours. Visit the Massachusetts 511 website before you travel. It reports on traffic, car accidents and travel conditions throughout the state. Click here for more information. Make sure your gas tank is full before you start traveling. Expect to see aggressive drivers on the road. Move away and never engage them. Drowsy driving causes more than 100,000 car crashes each year, resulting in 40,000 injuries and 1,550 deaths, according to the NHTSA. Rest up before making the drive. Tagged: "Boston car accident lawyers", "car crashes" and "motor vehicle accidents"
You may think winter snowfall makes for treacherous driving. But government figures show August is actually the most dangerous month on the roads, making it an important time to take precautions. Based on records dating back to 1994, the National Highway Traffic Safety Administration (NHTSA) reports more Americans die in car crashes in August than at any other time of the year. In August 2009, that number totaled 2,864 deaths. September had the next highest rate of traffic fatalities, followed by July. Weekends are the deadliest time on the roads throughout the year. Nationwide in 2009, there were an average of 123 deaths each day on Saturdays and 107 deaths on Sunday. Experts say motor vehicle deaths rise in August because more people are on the road traveling for vacation, taking day trips and attending summer events. Travel slowly at night and make sure you are familiar with your route. Reduce distractions by putting away your cell phone and GPS. When traveling with children, explain you must concentrate on the road. On the highway, make sure children have distractions such as books and games. Talk to teenagers about taking safety precautions such as limiting passengers and avoiding night driving. 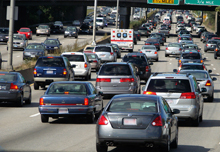 Tagged: "car crashes", "Massachusetts personal injury lawyers" and "motor vehicle deaths"